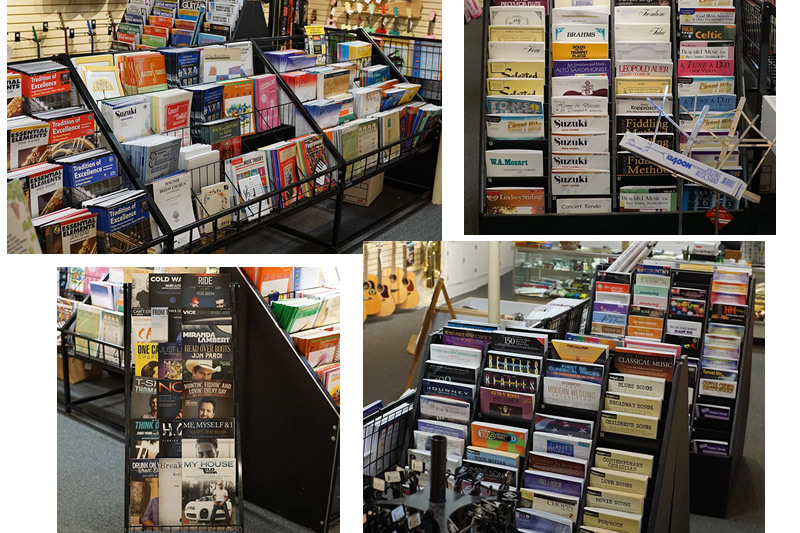 Capital Music Company stocks a wide variety of music books, instructional materials and sheet music. We are also a Digital Retail music provider which allows us to custom print sheet music from a vast library (hundreds of thousands) of available titles. Pricing for custom printed sheet music typically runs $5.99 per title and comes with the added benefit of printing in any key you'd like!